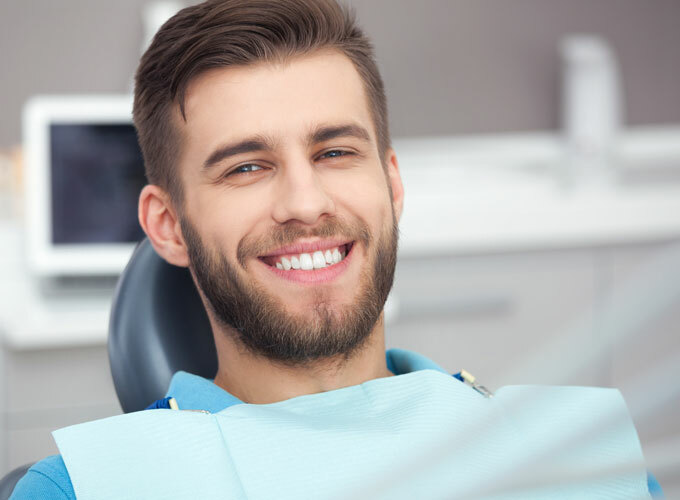 A filling is a way to restore a tooth damaged by decay back to its normal function Dr Malakonakis would remove the decay and then clean the affected area, and would then fill the cleaned out cavity with a composite resin filling material. Composite fillings are newer than amalgam fillings and are constantly improving. The composite resin is about the consistency of modeling clay. In order for the composite to harden, the dentist shines a bright blue light on it. Through a series of chemical reactions, the composite resin hardens into a very strong material that looks very much like a natural tooth. Dr Malakonakis's goal is to achieve a healthy balance between prevention and restoration. It is a balance between being proactive and reactive. One mistake people often make is waiting for pain to dictate the timing of treatment. Once a tooth starts hurting, it is often too late for remineralisation or a small filling. Pain usually indicates a need for root canal treatment, a crown, or tooth extraction. Some people are more prone to caries than others. Analysing one's history of cavities, current diet, and oral hygiene may direct Dr Malakonakis towards the most appropriate treatment plan. Teeth are in an environment of constant acid attack that strips the teeth of important minerals and breaks the teeth down. While this attack is constantly occurring, minerals are also being constantly replenished through mineral-rich saliva and fluoridated water and toothpaste. In addition to fluoride, calcium and phosphate also help to remineralise enamel. When the demineralization starts and is confined to the outermost layer of enamel, it is called a microcavity, or incipient cavity. These types of cavities rarely need anything more than very conservative treatment. Only when the cavity breaks through the enamel layer and into the dentin does it really threaten the tooth. So when these microcavities are detected, it is best to try a remineralisation protocol to see if they can be reversed instead of jumping to a filling right away. Dr Malakonakis will help in determining the most effective conservative treatment for these early cavities.